Purchases by Chinese investors in Cyprus property have contributed to the recovery of the island’s construction sector according to the president of Cyprus Association of Valuers and Property Consultants. CHINESE investors have contributed to a large extent to the revival of the construction sector in Cyprus following its collapse after the 2013 economic crisis, an expert in the property market said on Thursday. Kyriakos Talatinis, president of Cyprus Association of Valuers and Property Consultants, told Xinhua that investment by Chinese in the Paphos area was one of the reasons the property market jumped 40 percent in 2016 compared to 2015. He said that the Paphos area in western Cyprus attracted mostly Chinese buyers as property developers from this region were the first to visit China to attract customers after the Cyprus’s 10-billion-euro bailout in March 2013. “As early as 2013, Chinese people started buying property in Paphos,” he said. Data showed that contracts for property transactions submitted to the land registry department reached 7,063, an increase of 43 percent in 2016 for the eastern Mediterranean island. “Not all regions benefited by the same ratio. Land development in Limassol went up by 59 percent, and by 40 percent in Paphos. 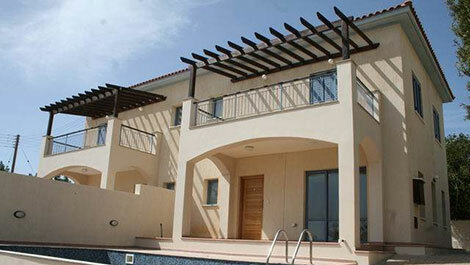 Demand came mostly from foreign purchasers and especially in Paphos from Chinese buyers,” Talatinis said. Land registry department data showed that in 2016 there had been 295 completed purchases by foreigners in Paphos out of a total of 958 for the whole of Cyprus and another 627 sale agreements in which the buyers are non-Cypriots had been filed with the land registry department, out of a total of 1,183. Filing a sale contract with the land registry department is a guarantee for the purchaser that the same property cannot be legally sold more than once. Talatinis said that for the size of Cyprus and its economy, even one-half of these would have made an impact. But home buying is still far behind its 2008 peak, the year Cyprus joined the eurozone, when a total of 16,000 contracts were filed with the land registry department. Talatinis said prices are still down to between 70 and 75 percent relative to 2008 but there is a fluctuation between regions. Prices for sea-side properties in Limassol and Paphos are close of even above those of 2008 due to foreign demand, but in other areas are still depressed. The Federation of Associations of Building Contractors Cyprus said the increase in construction is continuing in 2017. The association president, Costas Roushas, said data showed that building activity increased by 23 percent in the first two months this year relative to the same period in 2016, on top of an increase of 21 percent for the whole of last year. Roushas said a factor which helped the construction of new houses was a cut of 50 percent in transfer fees introduced last year by the government. He said that reducing value added tax on the purchase of houses to 5 percent from the current level of 19 percent could boost even more the construction sector. Roushas said that a considerable part of the activity is due to the construction of high-rise luxury buildings in Limassol offering luxury apartment and office space. ©2017 Xinhua, english.news.cn. All rights reserved. Furthermore when one looks at the CBC index, it is still decreasing…at a slower pace, though, than between 2008 and 2012, but still…. And let’s not forget that the “calculating” method of this index has been changed last year, so I guess that if the usual calculating method would have been used, figures might have been even be lower. Again, no comments about the Elephant in the room. Artfulness still seems to be entrenched in Cypriot culture when it comes to legal property ownership.